Alphas are at the top rank of the canine shapeshifter hierarchy, the most referred and the most powerful of their people. Alphas are typically the leaders in a pack. Their eyes will glow a bright red. An alpha possesses an internal spark of power that supplements their abilities, their strength and speed, and bestows them their supernatural traits. Alphas are also the ones who can turn individuals into new shapeshifters. An alpha, with the support of a number of shapeshifters of lower rank, has the ability to form the basis of a pack. Thus the mystical, symbiotic bond between the alpha and the followers is formed. Subsequently, these said followers will become betas to the alpha as well as others who will later join the pack. Because of the social nature of the shapeshifter, werewolf or otherwise, this symbiotic relationship increases the power of both the alpha and his new packmates. Inversely, losing pack members, because of either estrangement or death can decrease the power of the alpha. An alpha whom lacks a pack is still an alpha and maintains all the usual traits but is a lone wolf and thus not as powerful. An alpha can take the power of their own betas by killing them, thus enhancing their own powers. This act of murdering their own for their powers seems to have a corrupting, drug-like effect or influence. An alpha's claws or fangs can disrupt the healing factor of another shapeshifter, leaving longer lasting wounds on the victim. Conquest: A dominant werecreature establishes leadership over a number of subordinates, gaining a pack, bestowing him the alpha spark of power. Theo Raeken deliberately employed this over the resurrected Chimeras in Season 5. Because of the chimeras not actually being supernatural, the ascension did not take. Inheritance: Upon the alpha's demise another member in the pack may receive the alpha spark and step up to lead. The rules that determine which pack member is more likely to receive the alpha spark are unknown. After Talia Hale's death, her eldest daughter Laura became an alpha, after the Hale house fire decimated the Hale Pack. Scott suspected this happens to him in Season 3 after Derek's supposed death. Theft: A beta or omega slays an alpha and takes the power from the deceased. Prior to season 1, Peter Hale murdered Laura Hale to take her alpha status. At the end of Season 1, Derek Hale kills Peter and he himself becomes an alpha. Twin ascension: Whenever hereditary twin werecreatures gain alpha rank in their merged form, they will both maintain alpha status. Ethan and Aiden employed this when they killed the alpha of their previous pack whilst merged as Voltron Wolf. Peter Hale, a werewolf, was the first alpha to appear in the series. He was later killed by his nephew Derek Hale, resulting in the latter taking Peter's rank and spark of power. Peter was later resurrected, though he no longer possessed alpha status, coming back to life as an omega. Derek later sacrificed his alpha spark to give Cora Hale the capacity to heal from lethal mistletoe poisoning. In season 3, an elite pack of werewolves appear whom were all of alpha rank. Deucalion fulfilled the role of leader even though all five members held the status and abilities of an alpha werewolf. In 3x12 - Lunar Ellipse, the twins lost their alpha status due to being killed in their merged form because that part of them was broken. Scott became an alpha when he rises to True Alpha status. Alpha shapeshifters are able to create new werewolves or coyotes out of human beings using their fangs or claws. The bite is the more effective method of accomplishing this. Less so is a scratch. For one factor, the claws have to go deep, i.e. clawing out someone's throat, but there's still no guarantee. Once the process starts, the human victim will normally transform into a new beta shapeshifter. However, the process could change the recipient into some other shapeshifter. When Jackson Whittemore was bitten by Derek Hale, he instead became a kanima. Likewise, when Peter Hale clawed out Kate Argent's throat in 1x12 - Code Breaker, she transformed then came back to life as a werejaguar. The transformation requires no act of will by the alpha to take effect. In 2x12 - Master Plan, Gerard Argent impaled his arm on Derek's fangs, and though Derek was forced and unwilling, Gerard still counted as being bitten. Likewise, Peter's sole intention was to murder Kate when he clawed out her throat. If however, the transformation process does not take, it will eventually kill the victim. Derek's first love, Paige failed to transform, simply because the bite was totally fatal to her instead. If a banshee is bitten they will neither transform nor die because they are immune. However, a bite can be used to activate the banshee's innate abilities. Furthermore, because the transformative process changes the body, the bite can be used to exorcise the recipient of a dark kitsune's possession. 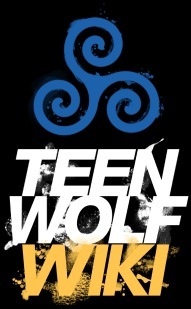 The bite, when used as a proper noun in the Teen Wolf universe, refers to a bite from an alpha shapeshifter. This action is the typical method to turn a human into a new werewolf. The bite has transformed several people. Scott McCall was bitten by Peter Hale in 1x01 - Wolf Moon. Jackson Whittemore was bitten by Derek Hale in the aftermath of Season 1. During Season 2, Isaac Lahey, Erica Reyes and Vernon Boyd all received the bite from Derek. In 4x03 - Muted, Liam Dunbar was bitten by Scott himself. Hayden Romero was bitten also by Scott in 5x20 - Apotheosis. Peter Hale bit Lydia Martin, a latent banshee, in 1x11 - Formality. She neither turned or died, because as a banshee, Lydia isn't affected by the supernatural, she is immune. Peter's true intention was to activate her powers and establish a connection between them that he could use as a backup plan to bring himself back to life in the event that he could be killed. In Gerard Argent's case, because of the mountain ash, a supernatural ward, in his system, he did not turn, rejecting the bite completely and he was incapacitated until provided with a cure. In The Divine Move, Scott bites "Void Stiles", the Nogitsune's incarnation of Stiles, which depleted his power and vanquished the void kitsune. The alpha's roar is their primary supernatural ability. By roaring, an alpha asserts their dominance, rank and power over fellow shapeshifters or pack mates. The roar can also be used for a number of different effects against other beings. Using their roar, an alpha can empower and stimulate their betas so they can accomplish high level tasks, heightening their strength, power and fortitude in dangerous situations such as being able to fight back against enemies. An alpha will also roar in to restrain potentially aggressive shapeshifters, or those who are rulled by their bloodlust by forcing them into submission or weakening them. In 1x07 - Night School, Peter Hale was able to force Scott to shift into his werewolf shape by roaring. Peter was then able to place him under a form of mind control. Deucalion also roared to force Scott to shapeshift in 3x12 - Lunar Ellipse. In 2x02 - Shape-Shifted, Derek Hale roared at his newly turned beta Isaac Lahey who was under the sway of the full moon and Isaac became rational again. Once Scott becomes a True Alpha and gains a pack comprised of members of several different species (werewolf, coyote, human, banshee, kitsune), his roar has specifically been shown to work in the manner of a clarion call as well as for the usual effects. Scott was able to force Malia Tate to shift from her full coyote form to her human guise with his roar in 3x14 - More Bad than Good. Simultaneously, his voice affected and empowered Isaac allowing the latter to break free of a bear trap. His roar was also clearly heard by his packmates Stiles Stilinski and Lydia Martin despite both of them being miles away from Scott's location at the time and they being only a human and banshee respectively. For weeks afterwards, Malia was unable to access her shifting afterward until Scott stepped up to mentor her. In 3x22 - De-Void, Scott roared while inside Stiles' subconscious. Stiles responded to Scott's voice and was then able to break free of the Nogitsune's possession. In 5x15 - Amplification, Scott let out a roar while he and his beta Liam Dunbar were being electrocuted by Eichen House security guards. His roar boosted both their preternatural strength and endurance, and both werewolves overcame the electricity and single-handedly knocked the guards unconscious. His roar also affected his pack members: Malia responded with her werecoyote eyes glowing brighter and he was clearly heard by Stiles and Kira Yukimura. Alphas, due to their spark of power, have the capability to grant healing power to another individual, human shapeshifts or animal. In 2x09 - Party Guessed, Derek was put into physical contact with the corpse of Peter Hale as well as the light of the full moon in a ritual conducted by a possessed Lydia Martin. Peter's corpse began to reanimate, gripping Derek's arm drawing his blood. Derek's eyes flashed red, his alpha spark being activated and the power being transferred to Peter's corpse. In minutes, Peter was completely revived. In the aftermath, Derek was left weak for several hours. In 3x11 - Alpha Pact, Derek uses his pain siphoning on a sick and dying Cora Hale with maximum impact. The process relieves Cora of her pain, part of Derek's alpha spark was transferred to Cora, augmenting her healing factor and she eventually heals completely of her sickness. On the negative side, Derek was rendered unconscious from the strain and his alpha status was lost. Alphas have some additional vision capabilities over Betas. In Tattoo, Derek is able to see the ink of Scott's healed tattoo when his eyes glow, suggesting x-ray, or infrared vision, assuming the tattoo would somehow change the heat signature. Derek confirms he can see infrared when Chris Argent helps them track Vernon Boyd and Cora Hale in Fireflies. Chris tosses Isaac, Scott and Derek infrared goggles, and Derek replies, "Thanks, got my own," and flashes his eyes. If an alpha kills a member of their own pack, the power of the deceased will be added to that of the alpha's. They will "become stronger, faster, more powerful". Three alphas, Deucalion, Kali and Ennis, each of whom were the leaders of their own respective packs, all carried out and indulged in this new trait without remorse. They murdered every member of their own individual packs, subsuming all their collective powers. Afterwards, the three formed the basis of the dastardly and dreaded Alpha Pack. From Deucalion's words, the effect of having killed one's own pack members to take their power seems to have a corrupting drug-like influence. In 3x07 - Currents, Kali and the twins use Derek's body as a weapon to kill his beta Vernon Boyd. As Boyd dies, Derek's eyes glow a much brighter Alpha red as he unwillingly absorbs Boyd's power.